Today marks a special moment in the life of one of our coaches. Congratulations Coach Jakki Cannata. 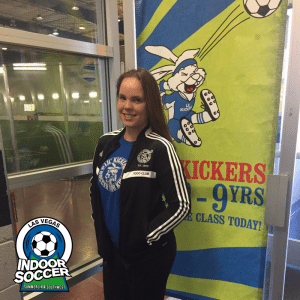 She has been inducted into the Lil Kickers 1,000 club, the 1,000 Club is a milestone for coaches who have coached 1,000 hours of Lil’ Kicker classes. This does not include admin hours or camps, only classes. 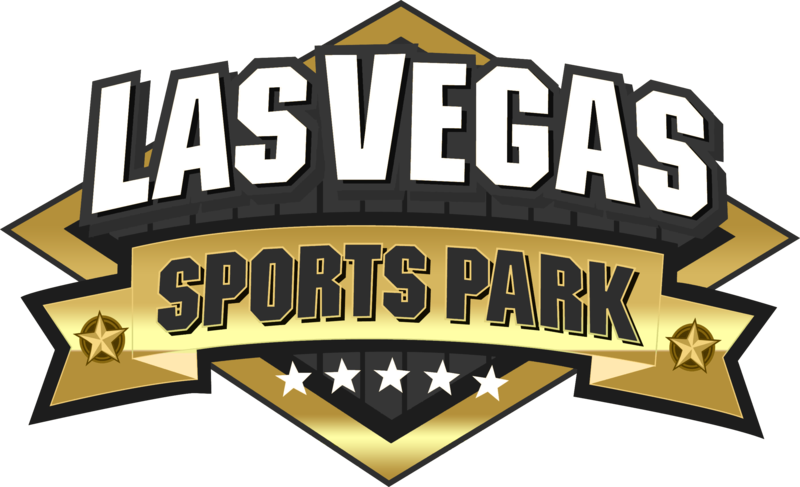 At just 19 years old Las Vegas Indoor Soccer is very proud of Jakki Cannata. Jakki has been a phenomenal addition to our business over the years. She first started coaching when she was just 17 years old. Currently attending UNLV and studying early childhood education. This would probably explain why Jakki is so great at her job. Teaching is her passion and Jakki, you certainly have the skills and qualities to achieve anything and everything you want to in your profession. 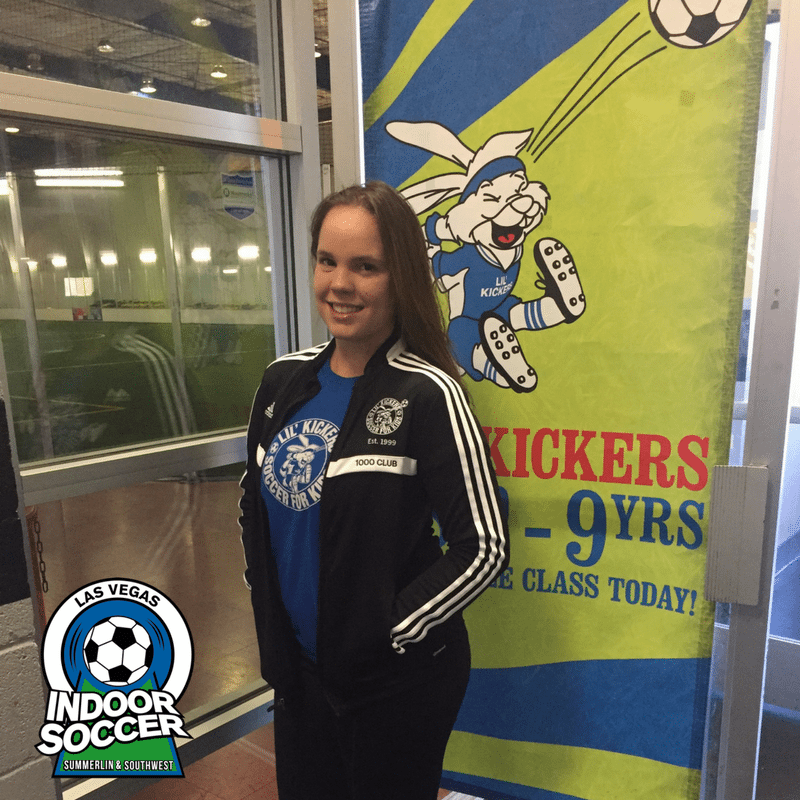 From everyone here at indoor soccer we would just like to say congratulations and a huge thank you for all your hard work, dedication and the effort you put into your classes each week. It is greatly appreciated, the kids love you and we are very proud to have you on our team. Well done Jakki, you deserve it.